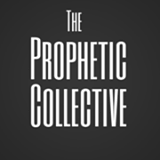 I was invited a little while back by Trey Lyon to be one of the founding writers for a new writing collective called The Prophetic Collective. I’m glad to be a part of this new site and hope you’ll take some time to go and read not only my first contribution, but also some of the other articles already there. They picked up one of my stories for their website yesterday evening. I first published it in May of 2013 for the Third Chance Ministries newsletter and website, but go on over to their site to read it for yourself.